Nigeria’s desire to borrow $5.5 billion from external sources has drawn mixed reactions. 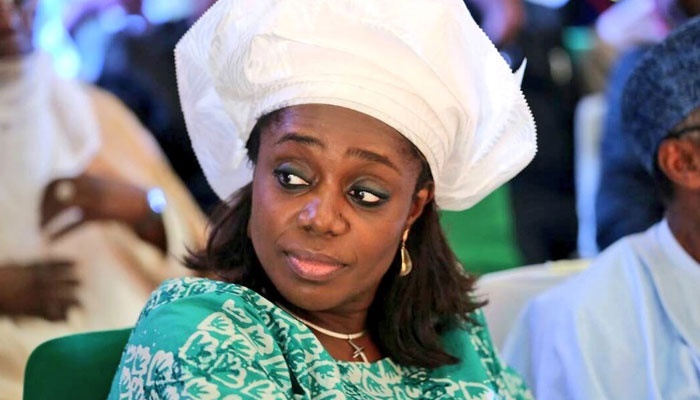 Some publications about the plan are misrepresentations of the real reason the government needed to borrow the funds, the Minister of Finance, Mrs Kemi Adeosun said on Wednesday. In tweets aimed at addressing these misconceptions, Mrs Adeosun gave some insight into the government's debt strategy. A request to borrow $5.5 billion was submitted to the National Assembly by President Muhammadu Buhari on October 10. In the breakdown, Buhari is seeking $2.5 billion issuance in the International Capital Market (ICM) through Euro Bonds or a combination of Euro Bonds and Diaspora Bonds. Another $3 billion issuance in Euro Bonds in the ICM and or loans indications from the banks. Explaining the strategy, Mrs Adeosun said: "The first component of US$2.5 billion represents NEW external borrowing to part-finance the deficit the 2017 Budget deficit. "The 2nd component of US$3 billion is purely for refinancing EXISTING domestic debt. This second part will not result in any increase in the public debt". According to her, the $5.5 billion external borrowing is consistent with the current administration's Debt Management Strategy, which they believe would rebalance the public debt portfolio away from domestic debt and in favour of long-term external financing. "We're shifting focus away from domestic borrowing to cheaper and longer-term external borrowing" she added. The Minister had last week explained why the government is shifting attention to external borrowing. The strategy is to avoid crowding out the private sector, reduce the cost of debt servicing and shift the balance of the oil-rich nation's debt portfolio from short-term to longer-term instruments.